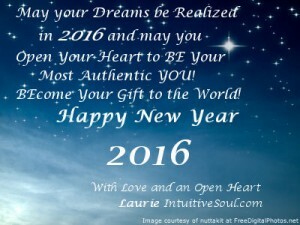 Jan Newsletter 2016: Discover your Gifts! Can you believe another year has gone by? 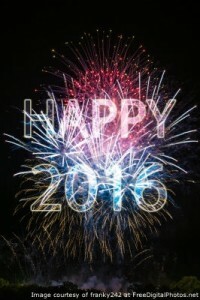 Happy New Year 2016!! This year is about Discovering your Gifts and BEing your authentic self! I’ve discussed it below in my article. Happy New Year and Welcome to 2016! This year we are working with a nine vibration. It is a year in which we are focusing on completion of karma through service and evolution. Take some time to look and journey within as you become the seeker in search of the Source. Through the numerology (conscious 9 and unconscious 18) and tarot (The Hermit and The Moon) we are infusing the vibration of Virgo (Chiron) and its opposite energy of Pisces. Astrologically we can look at the North Node in Virgo and South Node in Pisces this year. This also means that some of the eclipses this year will also be in Virgo / Pisces in which we will be clearing and moving thought some karma on many different levels. This is a year to integrate spiritual understanding in the physical reality. It is time to bridge the spiritual and physical realities as you focus on being of service to the self and others. Keep in mind that you may need to develop boundaries of compassion and empathy as you learn who and when to share those qualities with. January starts with Mercury moving into the sign of Aquarius, opening up our minds to original and unique ideas. It does not stay there for long as Mercury will station retrograde on Jan 5th at 01 Degrees Aquarius 02 minutes. With this particular Mercury Retrograde, we are looking at what ideas we have concretized into being. As it stations direct on Jan 25 at 14 Degrees Capricorn 54 minutes, we are looking to the past and the future to realize how these ideals have supported not only us, but our future generations as well. Mars moves into the sign of Scorpio on Jan 3 asking you to dive deep into your being. Your inner warrior emerges, so direct how you use this energy wisely. Jupiter (ancient ruler of Pisces) stations retrograde on Jan 7 at 23 Virgo14 minutes. Jupiter the planet of expansion is going to be stationing retrograde asking us to look within. There may be some karmic experiences that are activated during this time, asking you to integrate the healing necessary so that you can hold onto your sense of innocence. As Jupiter moves thought the sign of Virgo he is activating the lessons and the learning’s for 2016. Remember being of Service. The New Moon takes place on Jan 9th at 19 degrees of Capricorn 13 minutes. This particular new moon is asking you … “How can you do what needs to be done to effect a different outcome? Where do you need to align with your integrity so that you can create your success?” Keep in mind right action and the use of personal will is necessary. The Full Moon in January takes place on January 23rd at 03 degrees of Leo 29 minutes. This moon has us looking to our ego and our spirit. Can you tell the difference between the two? They both reside within the heart chakra, one frees us and one keeps us bound. When you align to the higher vibration of your spirit you can accept what you have achieved in life. If you find you are connecting to the dramatization of your ego, then you must ask yourself… “What are you trying to prove to yourself?” Look within to find the answer to that question. On Jan 7th at 4pm EST, I will be a co-host with Jean Adrienne on her show Power Talk on www.healthylife.net. It’s live so call in on 800-555-5453! We are on every first Thurs of the month!